Screenwriters always ask – if I can’t write dialogue and I can’t write boring ‘black on the page’, then what CAN I write? Answer – VISUALS!!! Bring your laptops and script pages – we will be applying these things above to OUR OWN WORK, remember. 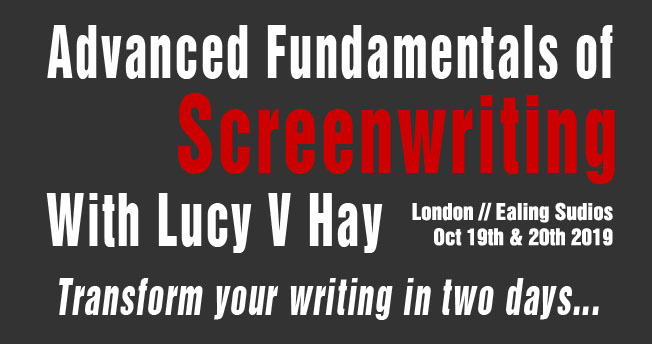 In this afternoon session, we will learn how we can not only ‘reader proof’ our screenplays, but GRAB the reader and ensure they WANT to read our scripts. The first page. Why this is the most important in your ENTIRE screenplay! Pages 2-10. Why it’s the first 10%, not the first ten pages. How to ensure you ‘hit the ground running’, introducing character and story HAND IN HAND. The art of skillful character introduction. How to create tone, atmosphere, introduce storyworlds. DO NOTE: We’ll be workshopping our first 10 pages in small groups in the class itself, plus a couple of plucky writers will be presenting theirs to ALL the delegates. So, make sure you bring your pages (paper, iPad, laptop etc all fine), plus pens, etc. 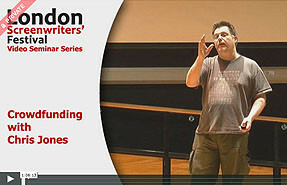 We’ll be DIVING IN to the spec screenwriter’s BIGGEST challenge – structure! This morning session will be about how understanding structure helps us not only with craft, but ensuring the story connects with its audience. Various definitions of storytelling structure and working out which work for us as writers, plus the stories we’re telling. ‘The same, but different’ – how do our stories BUILD on what’s gone before, in our genre or ‘type’ of story? All about audience expectation. Genre conventions that feel confused or stale – are any of these in our work?? Favourite characters from produced works – why do we love them? How do they grab our hearts? Why characters are what they DO – and how we can achieve this, linking back to scenes, visuals, dialogue etc. LOGLINE LAB - Putting our concepts under the microscope. Are our loglines clear? Are there any problems or missed opportunities at grass roots level? We’ll be sharing our loglines within small groups, plus we’ll also have an unofficial ‘pitch factor’ style competition of the best ones, with delegates asking story questions, plus voting on the loglines they like best. So BRING YOUR BEST IDEAS and big girl/boy pants!